Not one part of this music video makes sense and it's such a damn shame! 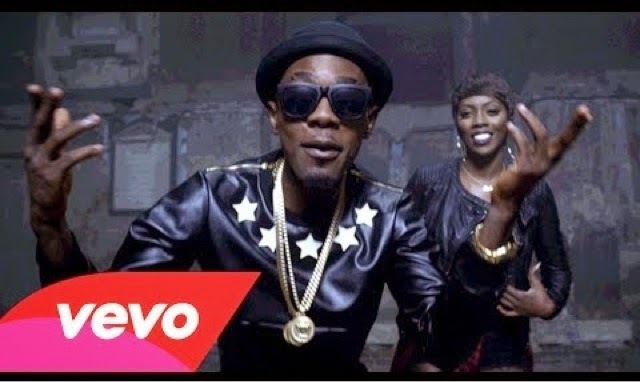 Patoranking has unveiled the visuals to his newly released remix to ‘Girlie O’ featuring Tiwa Savage. Tiwa who holds it down for the ladies as always is seen with a different swag and approach in the new video. Channelling her inner bad gal, Tiwa is seen wearing hot pants, a black leather biker jacket, a lumberjack tied around her waist and a whole new hairstyle as she rocks out in her scenes in the video, as seen below. With a song that's so much of a tune like this - it's disappointing to see a music video that's so boring and makes you dizzy most times. It would've been good to see it follow up from the original music video - or something a bit more standout ish. Once again, another Moe Musa visual that doesn't have that "wow" factor. Nevertheless Patoranking and Tiwa Savage make some good music together, Tiwa even samples Chaka Demus & Pliers ‘Bam Bam’ lyrics in her verse. Patoranking is steadily making his way into the hearts and ears of music lovers with his back to back hits. Only a matter of time before he finds himself at the top with the big dawgs.